Generally we have two types of cricket pitches. They are slow pitches and fast pitches. 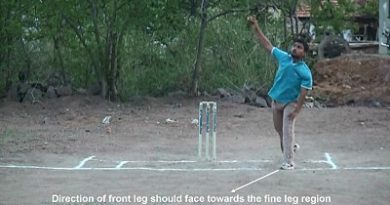 The slow cricket pitches are defined or can be scripted in this way ” if a ball pitches in short length or little bit in good length such that if the difference of releasing speed of the ball and when the ball just hits the bat is more than the 20kmph then it is a good slower pitch “. Similarly the fast cricket pitches can be scripted in this way ” if a ball pitches in short length or little bit in good length such that if the difference between the releasing speeds of the ball and when the ball just hits the bat is less than the 20kmph then it is a good pitch “. And if the difference of speed of the ball is even lesser than 15kmph then they are deadly good fast pitches. pitch at WACA, Perth, Australia. The lesser the speed difference the faster the pitch. And the greater the speed difference the slower the pitch. In India in 2007 India vs. Pakistan at Bangalore the releasing speed of the ball was calculated as 132kmph which was bowled by Ishant Sharma in good length. And the speed of the ball when it hit the bat was 112kmph. Similarly in the same year India vs. Pakistan at Kolkata, the releasing speed of the ball was calculated as 141kmph which was bowled by Shoiab Akthar in short length. And the speed of the ball when it hit the bat was 114kmph. You can say it as a dead cricket pitch. Australian cricket pitches are bouncy, faster, skiddy natured rather than seaming. The greater the clay contents in the pitch the greater the bounce they get. This is the reason why the pitches in Australia are bouncy than any other pitches in this part of the world. The pitches at Sydney (SCG) and Melbourne (MCG) are little bit dry and slower. They are nearly similar to Indian subcontinent pitches. These two cricket pitches generally support spin, bounce and seam rather than skidding (Fast). The pitch at Brisbane (Gabba) is a good bouncy and fast track. The pitch at Hobart in Tasmania is a bouncy and flat track where the ball nicely comes to the batsman with out any problem. The batsman can play every shot in his book. In fact a good batsman can play a ball with timing. The pitch at WACA, Perth, in Western Australia is the world’s fastest track. When you compare the other cities with Perth, Perth is a isolated place which is located in Western part of the Australia far from the east 2000 miles away. The Western Australia is a hot place and highly enriched with gold, diamond and other mineral deposits. The soil is different from the Eastern part of the Australia. Probably due to its highly enriched mineral deposits and different climatic conditions the pitch at WACA is hard and rock type. The cricket pitch at WACA is as hard as, you can compare it with a smooth hard cement turf. The bounce at WACA is probably is more compared to other cricket pitches in Australia and even may be other parts of the world. And the bounce at WACA is in such a way that even if the ball pitches little bit in fuller length the batsman feels difficult playing the ball on his front foot. Most of the times every ball at WACA makes the batsman to play on the back foot. Generally at WACA every ball most of the times after pitching zips away from the face or shoulders with fast and furious. 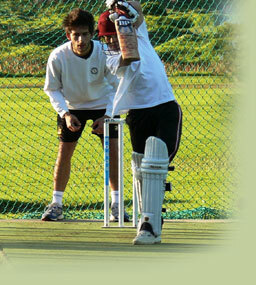 You can say it as a lively cricket pitch or in fact it is a living cricket pitch with so much of juice present in it. The bounce in most of the Australian pitches is true and you can trust the bounce every time. And mostly there will be no word called “UN EVEN BOUNCE”. As most of the cricket pitches in Australia are lively and fast the ball nicely reaches to the batsman and timing of the batsman improves. 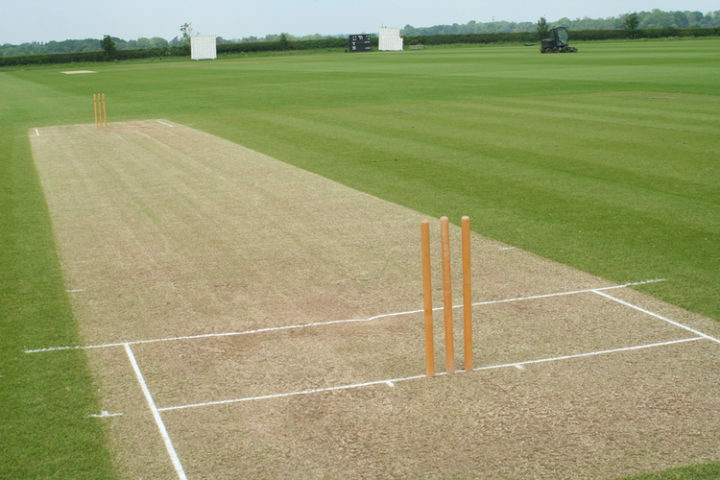 If you once settle down on these pitches you can time the ball exquisitely and can go for fours and sixes or any classical shot with out making any extra effort. The great VVS.Laxman always enjoyed batting on fast and bouncy tracks. Because of his old traditional classical style of batting and his wristy work he plays every shot with exquisite timing with out making much effort. He always enjoyed batting on Australian pitches and scored massive runs. Unlike the modern batsman who depends on power playing VVS.Laxman used to depend on his timing the ball and made to look so easy, freaky and simple on these fast and bouncy pitches. People often think that it is the fast bowlers who get favoured on these fast pitches but at the same time it is the batsmen who also enjoys batting on these kind of fast tracks as much as bowlers. Once the batsman sets on these pitches then he can time the ball from out of this world and can play every shot in his book. 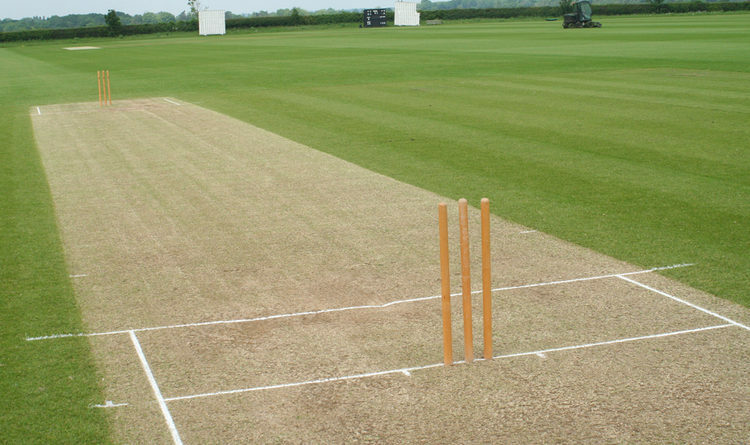 Traditionally Indian subcontinent cricket pitches are dry, slow and flat natured. Most of the cricket pitches in subcontinent are not fast, bouncy, skiddy and grassy. Feroz shah kotla (New Delhi), Eden Gardens (Kolkata), Wankhade (Mumbai), Chinna swamy (Bangalore) what ever it may be nearly every pitch in subcontinent is a slow pitch. But some of the pitches like at Mohali, Chandigarh and other places are little bit fast, skiddy, bouncy and grassy. It’s a rare case. The reason why these pitches are slow is simple. Because of high temperatures, hot humid climatic conditions the soil becomes dry, loses most of its moisture and not only losing its moisture after that scenario as the temperature goes on increasing the pitch (soil) starts sweating and loses completely whatever the remaining juice is present in it. At the end of the day it becomes a dead pitch. Most often people think that it’s the fast bowlers who get troubled on these slow pitches but at the same time it is the batsmen who also get troubled on these kind of pitches as much as bowlers. It is really difficult for the batsman to get settle down on these slow pitches because the ball doesn’t reach the bat as it is expected or you can say it doesn’t reach the batsman in time, the batsman loses his timing feels difficult to connect the ball when he is new to the crease, might lose his concentration and there by the form. Generally on these slow pitches most of the times every ball after pitching slows down and also makes the batsman to play every ball so lately. And also most of the bowlers will make sure that they always pitch the ball little bit fuller in length because if they pitch the ball in short length or even some times in good length the batsman gets ample of time to pull the ball or can smash the ball powerfully for a four or six. Generally swing of the ball doesn’t depend on type of pitches like whether it may be slow or fast or any kind of pitch. Swing of the ball always depends on shiny part of the ball, speed of the wind, and presence of moisture in the pitch. As long as shine is there and moisture in the pitch the ball goes on swinging. The swing of the ball doesn’t depend on type of pitches like slow or fast because the swing of the ball actually happens in the air before or after hitting the pitch but not when the ball actually hits the pitch. Generally the cricket pitches in England are mostly favourable for swing than any part of this world. 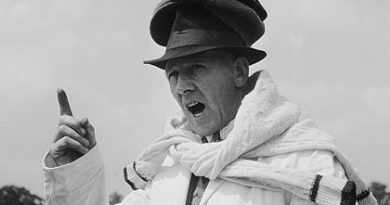 The swing of the ball in England generally sustains for longer period. Because of cold climatic conditions the moisture in the pitch and air stays for longer period and also there will be presence of breeze regularly there by the ball doesn’t become rough very easily in those conditions, resulting in the swing of the ball happens more and continuous for longer period.